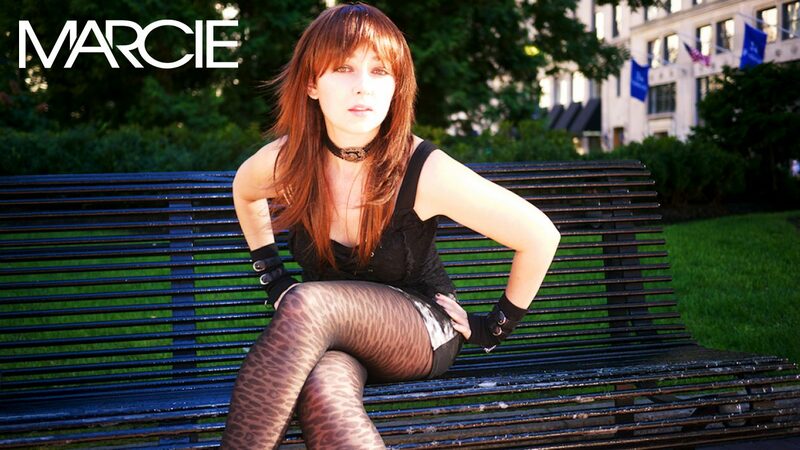 Marcie is an Internationally Renowned Singer/Songwriter for various Major Electronic labels. She writes and performs in multiple genres, and has charted in the Top 10 worldwide. Her releases have the support of Tiesto, Armin van Buuren, David Guetta, Paul van Dyk, Oakenfold, Above & Beyond, Ferry Corsten, XM Radio, BBC, Music Choice, Promo Only, Markus Schulz, DJ Shah, Matt Darey, Solarstone, among others. She regularly performs at high profile events around the globe, opening for Markus Schulz, Dash Berlin, Nadia Ali, Paul Oakenfold, and more. Marcie is the producer and creator of “Marcie Presents Behind The Lyric”, a show that explores the stories behind the lyrics of Electronic Dance Music. The show airs on over 40 major FM and Internet stations worldwide, and features exclusive interviews with well known Artists, (including Above & Beyond, Ferry Corsten, JES, Kaskade, and more). The show was a wholly unique concept in 2007, and has received worldwide press and broadcast, leaving an enduring mark on the dance industry. Marcie has been featured in major publications including M8 Magazine (UK), DJ Mag, Freeze Magazine, (Greece), Partysan (Slovenia), and The Boston Weekly Dig, and Fashion’s Non Magazine. Marcie is a regularly featured personality on many dance radio programs including Matt Darey’s Nocturnal, the world’s fastest expanding multi genre dance radio show now broadcast on 116 FM stations worldwide. She is an established journalist, and panelist, sharing her expertise on multiple media sites as a speaker, reviewer and regularly featured columnist.